There are an estimated 1 million children doing domestic work in Tanzania, most of them girls. Poverty and hardship in rural areas force children to migrate to cities to find jobs in private households. Many girls also run away from home to avoid domestic abuse or forced marriage. Far from their families and vulnerable to exploitation, children are often denied the salaries they are initially promised. 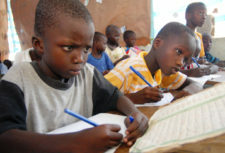 They are often forced to work long hours and have little chance of attending school and getting an education. Many are subjected to physical and sexual abuse. As always, we do not settle for easy solutions but instead aim to tackle the problem from all angles and address the root causes, as well as long term consequences. We work with our partners from the Tanzania Domestic Worker Coalition, formed as an a result of our past work, to protect children in domestic work and secure their long term future. With our Coalition partners, we work in source and destination areas for migrating child domestic workers. We identify children working and living in their employers’s homes, who are most at risk of abuse. We teach child domestic workers about their rights and empower them to claim their rights. We provide shelter and support for individual victims, reunite younger children with their families, and identify the best options for the older children in the short and longer term. Some older children – should they wish to continue working – can do so in safe conditions and with employers that treat them fairly and respect their right to pursue their dreams and ambitions outside of work. We run regular workshops and activities in a friendly space, where children can be listened to and find their voice. We teach them about their rights and support them to build their confidence, so that they can stand up for their own rights and demand fair treatment. 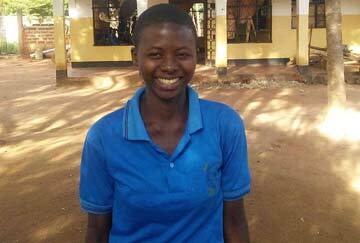 We ensure children have access to education and vocational training to help find alternative jobs in the future. We also organise children in small committees, so that they support each other on a daily basis, and act if they see fellow domestic workers being exploited. We have recorded many cases of children acting together to bring cases of abuse forward to relevant authorities and work in their communities to put pressure on employers who don’t fulfill good standards. What is most important, we witness children grow in confidence, leave abusive situations, build their futures and pursue their dreams away from domestic work and a vicious cycle of slavery. Read how we supported Angel to leave domestic work and found her own organisation to protect children. An extremely important part of our work is working with the children’s employers. We invite them to meet us and attend special training, showing them not only their responsibilities as ethical employers, but also the advantages of treating their workers fairly and with respect. The training brings very positive results with many amazing transformations and employers changing their attitudes towards domestic workers. We engage whole local communities to support children in domestic work in their neighbourhood. We work to implement by-laws in the districts we work in to protect working children, requiring written contracts and ensuring decent pay. Such by-laws and close community co-operation have proven to be extremely effective – 100% of children we surveyed are receiving regular pay, which is unheard of in other areas. Child domestic work is a traditional practice in Tanzania and a common response to poverty. Although no reliable statistics are available, some estimates suggest that around 3% of the population in urban areas are live-in children working in private homes. Up to a third of children in domestic work are below fourteen and can be as young as ten. Over 80% of them are girls. Child domestic workers are extremely vulnerable. Sexual harassment and other abuses are common and hidden from sight in employers’ homes. Many children have to work gruelling working hours, are extremely isolated and lack care and protection. Child domestic workers primarily come from poor, rural families. Often, families marry off their young daughters to reduce the financial burden and receive ‘the bride price’. Many girls run away to the city to avoid marriage and frequently end up as child domestic workers or in other forms of child labour. Some parents choose to send their child away to work as an alternative to early marriage, unaware of the abuse and exploitation that frequently awaits the child. Many child domestic workers have no or little access to education, limiting their chances to find good jobs in future. A survey we carried out in 2012 found that less than 0.5% of the children in domestic work had formal contracts; over 40% suffered physical abuse and other cruel and degrading treatment from their employers; 17% suffered sexual abuse; and over 60% did not attend school and were illiterate and innumerate. Other common problems included little or no pay, despite working up to 60+ hours per week and working in complete isolation which limits children’s movements, any social life and contact with families. Since the early 1990s Anti-Slavery International and its partners in Africa, Asia, Latin America and the Caribbean have been at the forefront of work to raise the visibility of child domestic workers, to promote their cause and reduce their suffering. The isolation and dependency of these children, their frequent loss of liberty, methods of recruitment which can amount to trafficking, and low pay or no pay at all, put them in a category of human rights violation that can often be close to slavery. Apart from improving the lives of hundreds of children across three continents, our work resulted in many publications of expert guidance on how to work with child domestic workers that are widely used today. 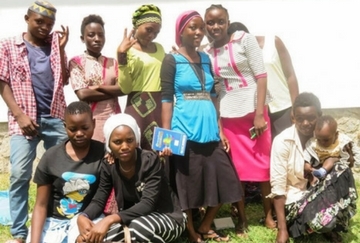 Our last innovative five-year project across six countries, including Tanzania, focused on empowering children in advocating for their own rights and was a resounding success – child domestic workers progressed from isolation, where they had no voice, to making their voices heard and acted upon. 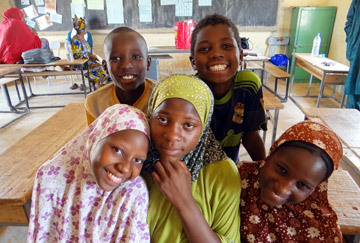 Children in all countries not only came out of isolation and improved their own lives, but came together to advocate for their rights on local and national levels, and brought others with them – a spectacular success. The biggest achievement was advocating for an international convention protecting the rights of domestic workers across the world. Children representing our programme went to Geneva and advocated for the protection of children in domestic work. In no small part thanks to that, a separate section with special measures protecting children is included in what is today known as the Domestic Work Convention C189. Former child domestic workers went on to start their own organisations helping their peers. 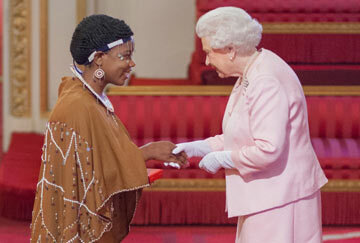 One of them, Angel Benedicto, was recognised by the Queen with a Young Leader Award.